WordPress Development: As professional WordPress developers, we are often asked to build something that is specific to the client and their website needs. Our expert team will focus on your project needs – whether they are simple or complex, big or small. Custom Template Design and Development: Many clients want more than the standard off-the-shelf WordPress theme. We can customize the design and features of your WordPress template to reflect your business identity and your business needs. Migrating to WordPress: Many businesses may already have a website and would like to move it to WordPress for the ease-of-use and great features that a WordPress site provides. Design Refresh: You may simply need your website design enhanced or updated. This cost effective choice leverages existing content and allows you refocus your website to work better for your business. WordPress Plugin Development:. As custom plugin developers, we can add the features you need without directly changing your template. Responsive and Mobile Design: Having a website that is easy to use on a smart phone or tablet is more important than ever. 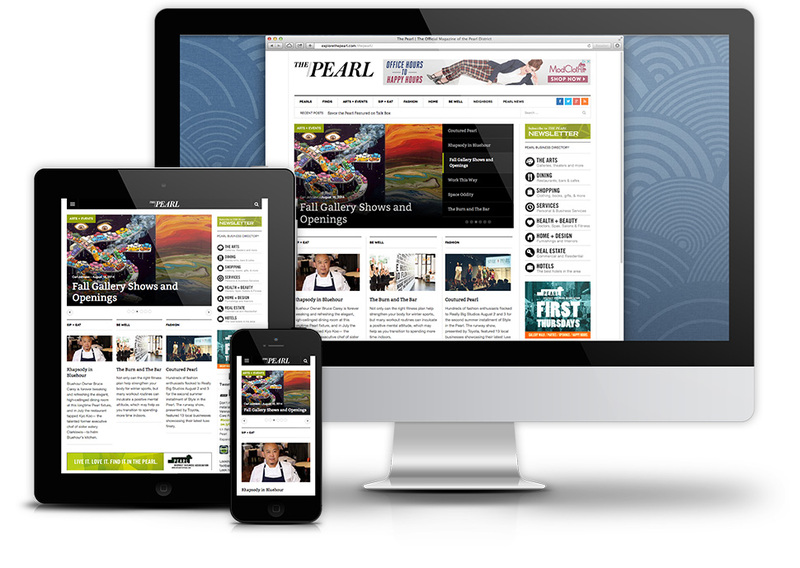 All of our new websites are built to be responsive and mobile-friendly. Additionally you may be interested in having a mobile website or smart phone application. We can craft a solution that works for your business. Graphic Design: How your business looks online or in print is a key role of graphic design. We have more than 15 years experience in helping businesses with their graphics design needs – from web banners, brochures, and e-newsletters to stationary and packaging. Branding and Identity: First impressions matter! Identity and branding help to shape customers’ opinions of your business. We have experience building and maintaining brand throughout your business materials. Social Media Marketing: Most businesses today have to have one or more social media accounts, like Facebook, Google+, Instagram, LinkedIn and many more. If you need help navigating the complexity of social media marketing we are ready to help. Inbound Marketing Design and Templates: Companies that use inbound marketing tools like Pardot or Hubspot often need to have template pages designed and built with their company look-and-feel. We can help with this process. Lead Generation and intake form development: Having a good looking site is important, but often business want to give their customers the ability to interact with them. We can develop solutions for items like subscription, client intake, event registration, and general lead generation. Something Else: Being a developer can mean creating solutions for needs that don’t easily fit into any category. We are ready to talk with you about your project.